The couple were a pleasure to play for, and I even managed to correctly guess the orange and blue colour scheme! My first task was to play Eric and Betty’s first dance, for which they had chosen Stand By Me by Ben E. King. This was accompanied by a couple of confetti cannons. 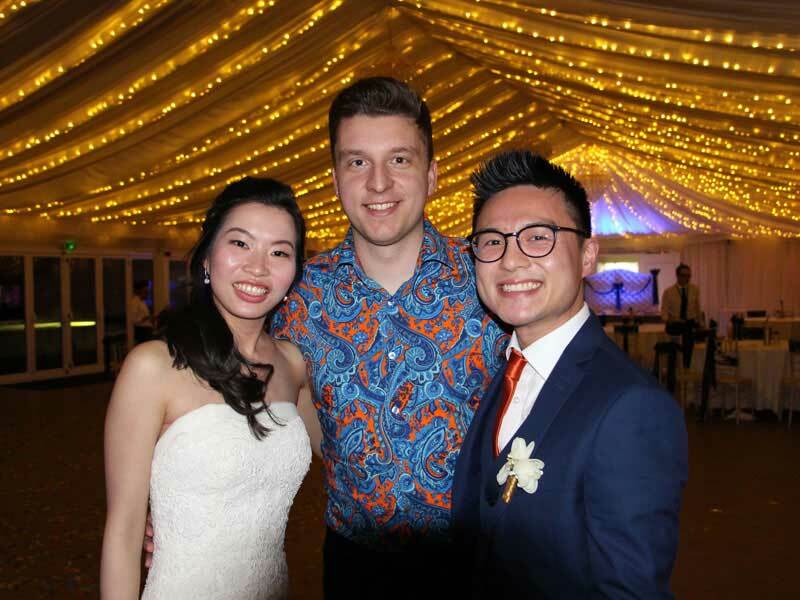 The couple had supplied me with a playlist to put on in between my sets, and had chosen a nice selection of chilled and upbeat tunes from my repertoire. Playing a highly energetic set in order to get (and keep) guests on the dance floor was a refreshing change for me. I played everything from Chaka Khan to Kevin Lyttle to Faith by George Michael and entertained the crowd. 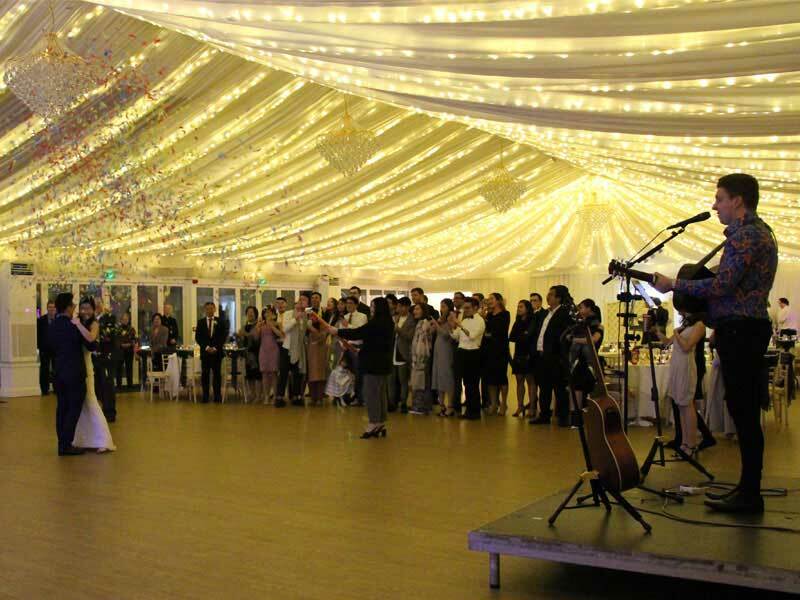 As is invariably the case at a wedding, there was quite a spread of ages, so it was important to play songs that are timeless and would be well-known by younger and older guests. 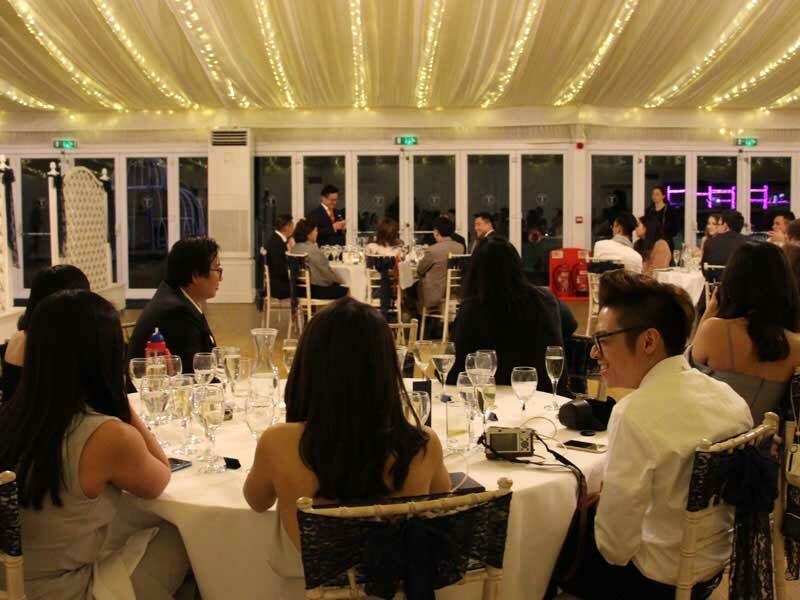 As the wedding was on a Tuesday night with a smaller number of attendees, Betty and Eric’s day had an earlier finish than usual, and the bride and groom had selected some more relaxed music as the night drew to a close and friends and family said their goodbyes. A lovely couple, and as ever a pleasure to play at Parklands and be looked after by the helpful staff. Looking for tips to plan your big day? Get in touch with me here.